In May of 2000 and after 24 years of service with a large chemical company, Paul Patterson founded PEP Global, a consulting and training business meant to serve companies of all sizes. He is a Viet Nam veteran and a graduate of the University of Tennessee. His experience in industry includes Human Resources, Domestic & International Credit and Collections, Accounts Receivable Management and Application, International Customer Service – Order Processing and Documentation, and Global Trade Compliance. He was a member of a sub-committee, responsible for DEA and Australian Group chemical rules, of the Chemical Manufacturers’ Association in Washington, DC. 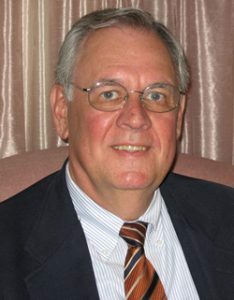 He also served on the Executive Board of the National Chemical Credit Association (NCCA), and was recognized in the chemical industry as an authority on Letters of Credit. Paul received an International Business Certification from Radford University in central Virginia, and was invited to return as a guest speaker during their summer program for university professors, involved in the international business curriculum. Paul’s varied experience with a large containerized exporter has given him a unique and practical knowledge of exporting. In addition to the regulatory requirements of exporting, Paul provides practical and compelling recommendations to help your company work smarter and more profitably. He is a frequent instructor/speaker and consultant for companies of all sizes, and has represented well known consulting firms for both public and in-house seminars. His informal and relaxed approach to teaching has proven to be an effective method of communicating complex processes in an easily understood format. Topics routinely covered include Incoterms 2010, Letters of Credit and Other Methods of Collection, Export Compliance and Controls (EAR), NAFTA, Transportation/Logistics (general topics), Tariff Classification Using the HTS, Documentation and Procedures, and specially designed programs for specific client needs.